Produced by Galvin Manufacturing Co in Chicago, this Motorola found its way into my collection for ten bucks and only needed knob repairs. Yes, knob repairs! 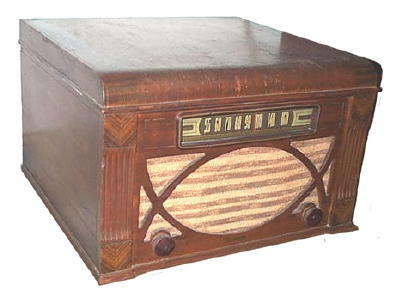 The radio worked well and the cabinet did not need refinishing, but the knobs were snapped off the shafts. A few drops of superglue fixed that in a snap (pun intended).